For patients, clinical trials offer the potential for another therapeutic option. Clinical tests may provide a new avenue of care for some chronic disease sufferers who are still searching for the medicines that are best for them. 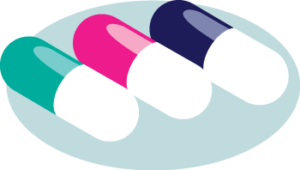 Some clinical trials are conducted to compare existing treatments and some are done to explore whether a drug is appropriate for a different patient population, such as children or the elderly. Still others are conducted to find ways to make existing approved drugs more effective and easier to use with fewer side effects. Patients can learn about clinical trials in several ways. Health care providers are aware of clinical trials being conducted at hospitals, universities, and other leading health care facilities, and these institutions can be valuable sources of information for patients looking to participate. Patients can also use hospital and university websites to find the trials being conducted in their area. ClinicalTrials.gov is a registry of federally and privately supported clinical trials conducted in the United States and around the world. The Center for Information and Study on Clinical Research Participation (CISCRP) is a first-of-its-kind nonprofit organization dedicated to educating and informing the public, patients, medical/research communities, the media, and policy makers about clinical research and the role each party plays in the process. The global source for clinical trials information: offering news, analysis, study grants, career opportunities, and trial listings to professionals and patients. ClinicalTrials.com is a comprehensive resource for trusted information about medical research studies, also called clinical trials. ClinicalConnection serves as more than a Study Participant recruiter, the company serves as the connection between Study Participants and the Clinical Investigators nationwide that are conducting clinical trials. Healthcare Ready is a tool activated to help keep emergency responders informed on the status of the biopharmaceutical supply chain in the event of a natural disaster or emergency. Healthcare Ready’s Rx Open tool was deployed in 11 states and the District of Columbia, and helped victims and evacuees who needed to fill or re-fill their prescriptions find open pharmacies. Healthcare Ready also helped emergency responders with critical information on the challenges facing supply chain partners relating to electricity, fuel and transportation issues. NIH’s mission is to seek fundamental knowledge about the nature and behavior of living systems and the application of that knowledge to enhance health, lengthen life, and reduce the burdens of illness and disability. The Partnership for Prescription Assistance has helped more than 83,900 Oregon patients access free or nearly free prescription medicines for residents who are underinsured or uninsured within the state. Patients should go to www. pparx.org for more information. The on-line process takes about 15 minutes, and you’ll find out instantly if you’re likely to be eligible for help. Patient advocacy groups in Oregon provide an exceptional resource for patients to connect and learn more about their condition and what treatment options are available in the state. These groups also provide an important voice on behalf of patients to protect their access to medicine and treatment. The following are just a few major groups that work on behalf of patients in Oregon, and may provide more information to patients with further questions.